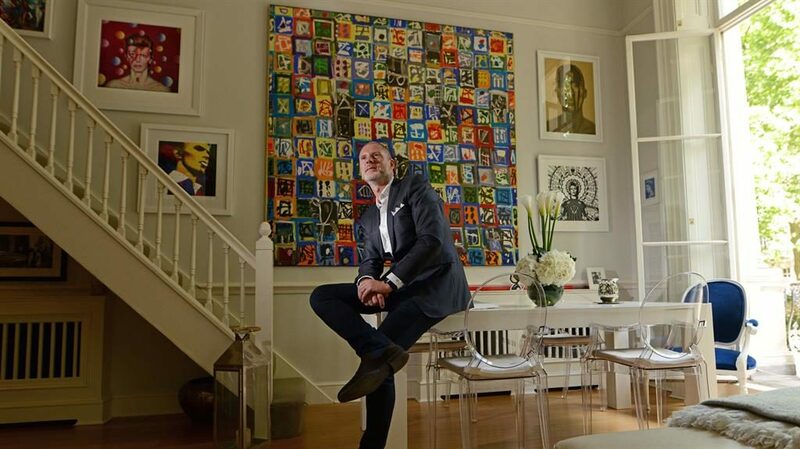 JEAN-DAVID MALAT’S home is full of other people’s stories. 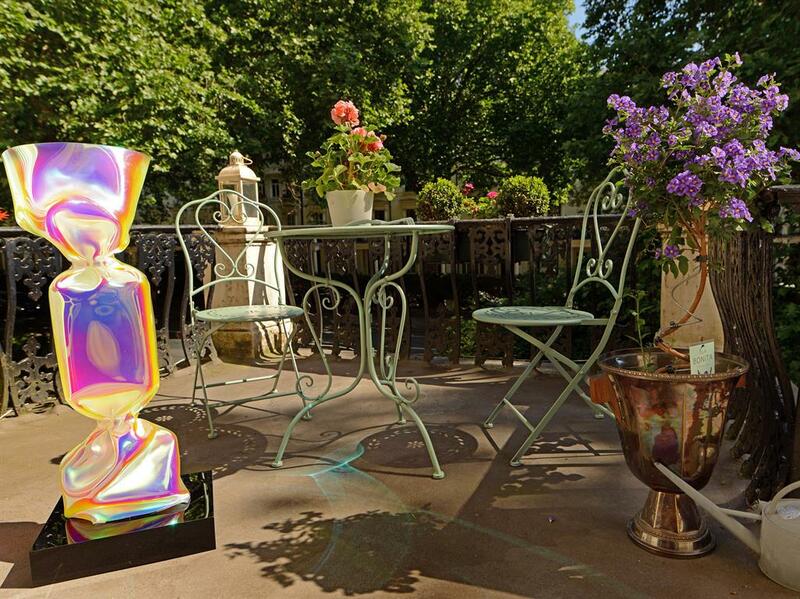 The world-famous art dealer and tastemaker is showing us around his 1840s house in Lancaster Gate, going from one revered work to the next, whether it is an original Expressionist painting by Bernard Buffet, a limited-edition Damien Hirst print or a piece by celebrated Bronx graffiti artist Seen. Jean-David is genial and soft-spoken in a way you perhaps wouldn’t expect from someone whose 40th birthday two years ago was attended by the likes of Nick Foulkes, James Caan and Heather Kerzner, and was featured on the pages of Tatler. His appearance is as impeccable as his manners. Dressed in a sharply cut Ozwald Boateng jacket, Diesel jeans and JM Weston boots, he passes over a morning espresso in a glass, flashing a limited-edition Hublot timepiece as he does so. But despite his modish clothes and chiselled, ex-model looks — he used to work on the catwalk before the career change — Paris-born Jean-David’s four-bedroom home, complete with stuccoed features and high ceilings, is surprisingly relaxed. Paintings are everywhere. 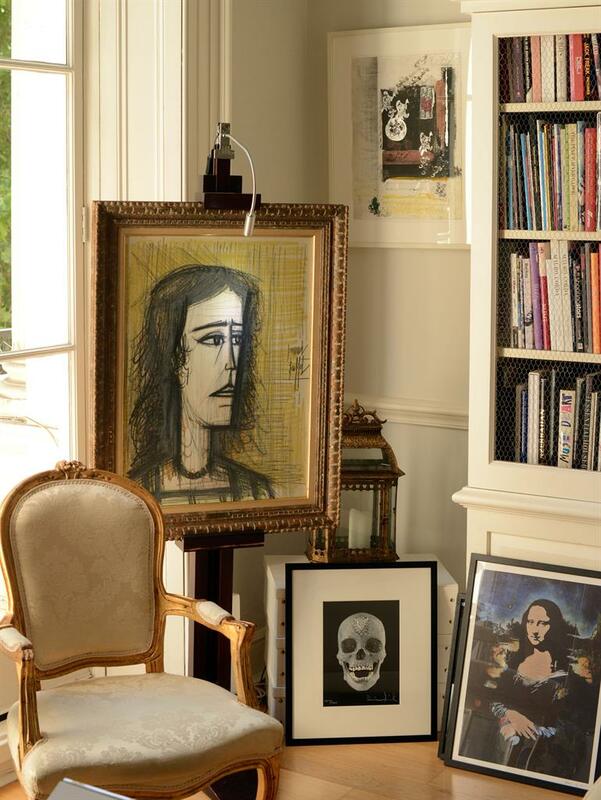 A huge portrait by Francesca Leone, daughter of Sergio Leone, is among several stored on the floor. The face pokes over the top of the Italian-made, bespoke white leather sofa. Alongside it is a piece by Blek le Rat, seen as the godfather of street art and perhaps the inspiration for Banksy. Next to that is a limited-run Hirst skull print, resting against the legs of an easel. Jean-David’s working day is probably more intense — or at least varied — than most people’s. 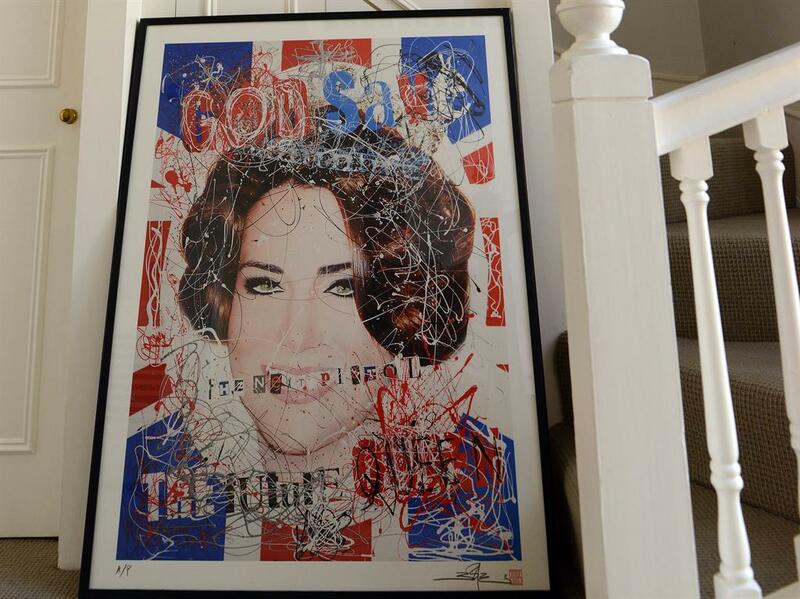 As director of New Bond Street’s prestigious Opera Gallery, he has sold art to Kate Moss, Arnold Schwarzenegger, Bono, Madonna and Stefano Gabbana. The first client he had walk through the door at Opera was Pierce Brosnan — ‘The gallery is in Mayfair, so it was straight out of a Bond film,’ he says. Known as the ‘most well-connected man in London’, such is his esteem, he has the power to make an unknown artist a superstar overnight. He says he gets around 20 to 25 applications a week from artists through email and social media, and looks at all of them. The centrepiece of his living room is a piece by Oli G. Johannsson, which takes up a large part of the double aspect wall and means a lot to Jean-David. Johannsson, who died five years ago, was the first artist he pushed for the gallery. Jean-David flew all the way to Iceland to meet him. Near the entrance is one of the last photographs taken by beloved character of the Paris fashion scene Gauthier Gallet, who was killed on a scooter shortly after it was taken. 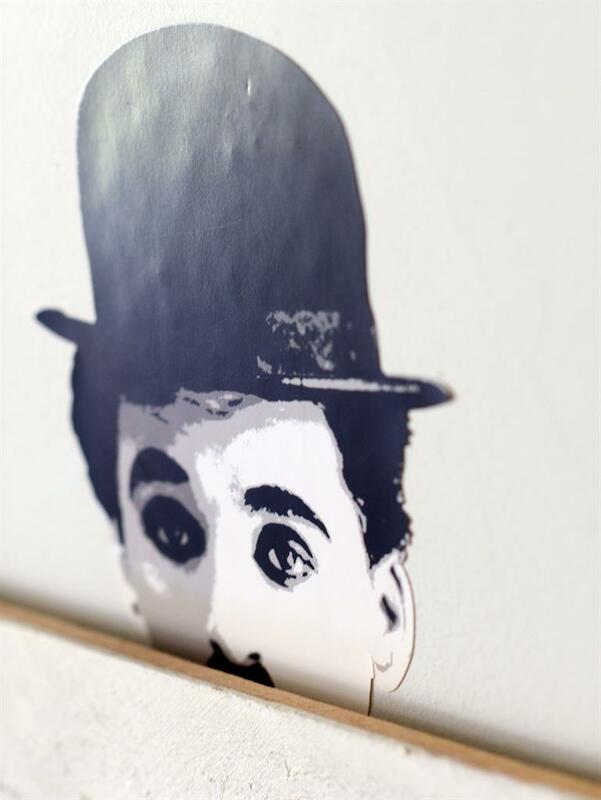 In the back room on the floor is a piece of wood panelling with a Banksy stencil on it; or at least, he thinks it is — he can’t confirm if it’s original. 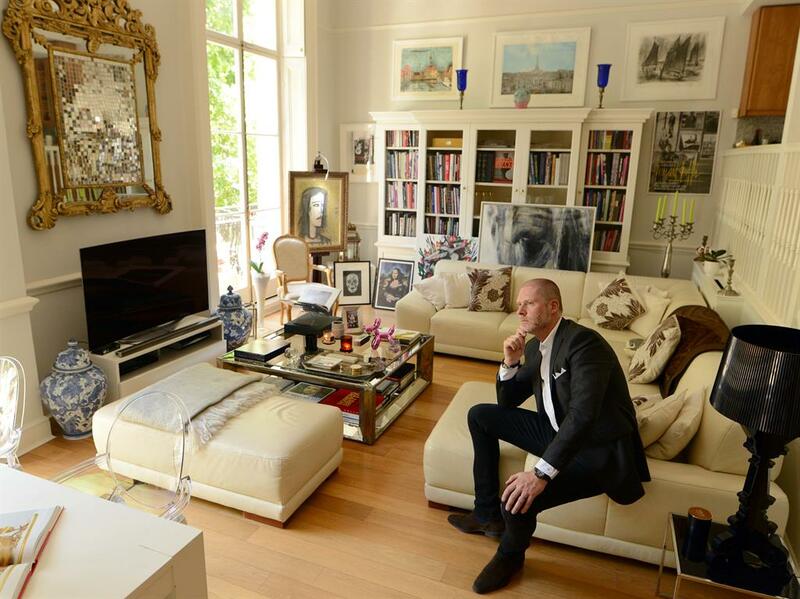 Jean-David moved to London in 2005 and bought the house in 2014. Not much has changed — all the original cornicing is in place, but it has been filled with artworks, books on art and personal pieces. 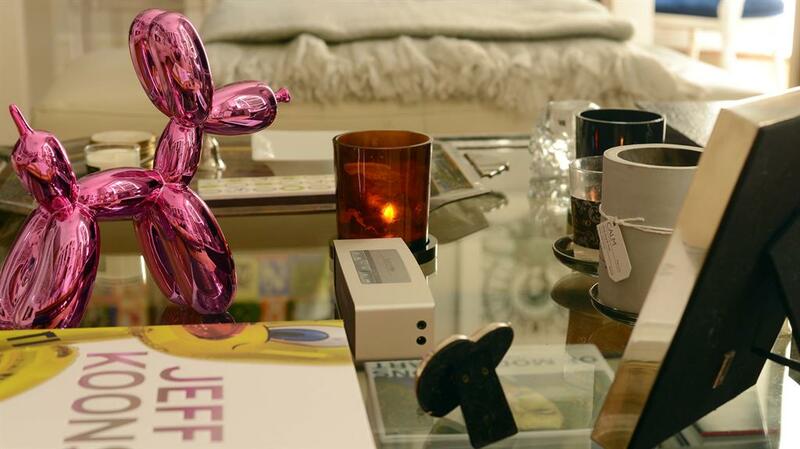 A Jeff Koons Balloon Dog sculpture — not an original, he adds — sits on the coffee table next to a book on Koons. 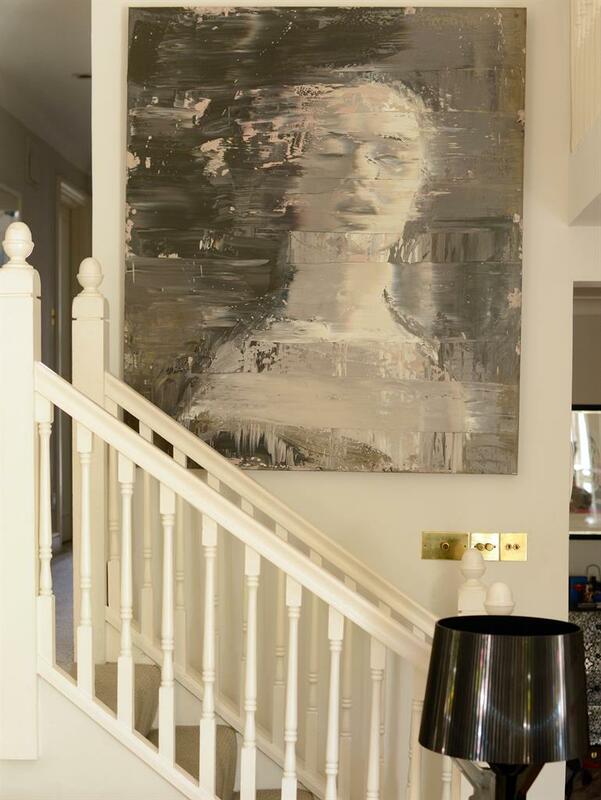 Jean-David says anyone wanting to invest in art for their home shouldn’t think about whether it works with their colour scheme or fits with their new lampshade. ‘It’s not about what it looks like in your house, it is about what it brings to you personally. ‘For me, art helps me relax — I couldn’t live without art around me.